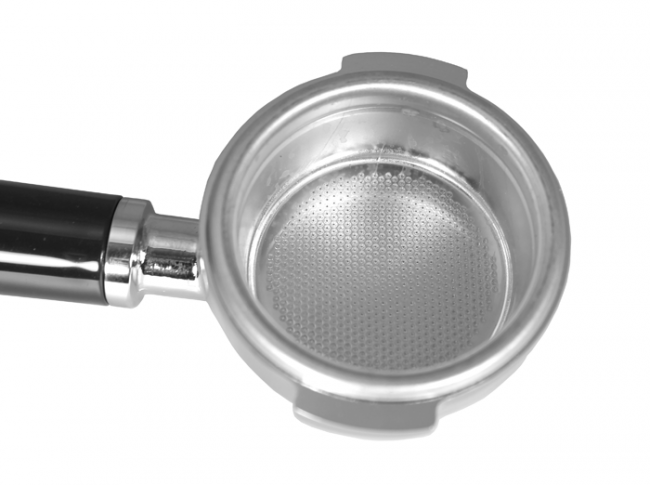 Get to the bottom of a perfect espresso shot with this heavy, chrome-plated brass Bottomless Portafilter with an included triple filter basket and spring clip. Yum! 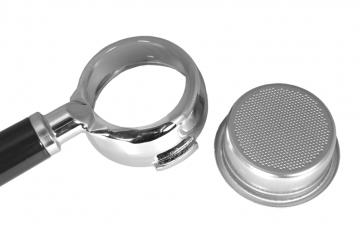 - Bottomless portafilters can provide better flavor and heat retention for a yummier espresso shot. Get Schooled - This is a great learning tool to observe your espresso extraction to see if tamping was done properly. Messy Marvin - The extraction can be spurty, messy, or misty if your tamping was uneven or your grind was clumpy. The model we currently stock is not the same appearance as the bottomless portafilter that appears in this video. The product photo is correct. Keep your portafilter clean with frequent wiping or by using Cafiza.